Have you searched the Documenting Ireland Parliament, People and Migration (DIPPAM) website yet for your Irish Ancestor who may have spent time in America or Canada, or elsewhere? DIPPAM's online collection of 3 databases is populated with documents " relating to Ireland and its migration experience from the 18th to the late 20th centuries." Enhanced British Parliamentary Papers on Ireland (EPPI) Collection. Many researchers interested in their Irish ancestry overlook the early Irish Act of Union papers pertaining to when Ireland became part of the United Kingdom of Great Britain. 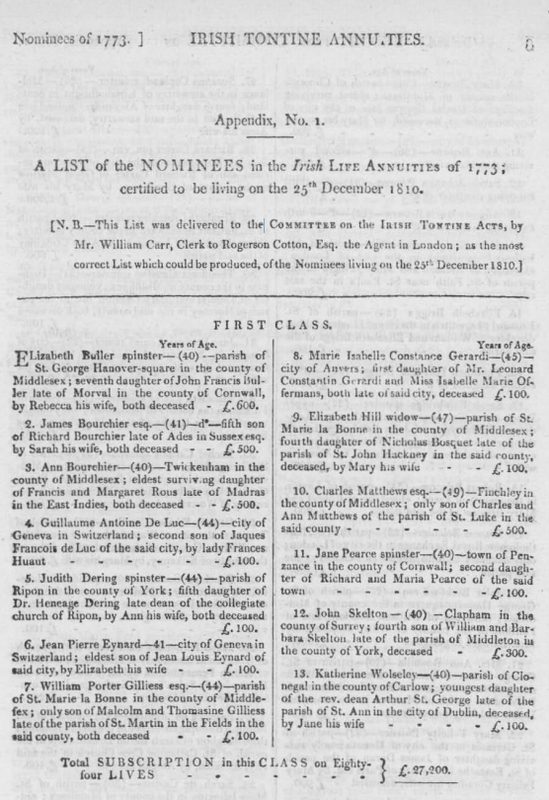 Even though, you would not expect to see your ancestor’s name in one of these documents, imagine the surprise of those finding genealogical information in the EPPI Collection of the State of Management of Tontine Annuities granted in Ireland in 1773. Over 15,000 documents of British Parliamentary papers from 1801-1922 relating to Ireland provides great social history of this period. As a bonus, these records include Canada, Australia, New Zealand and even the USA. Irish Emigration Database (IED) What a collection of emigrant letters, family papers, diaries and journals! And who doesn’t love a letter filled with family and community news? There are over 33,000 documents in the IED database dated between 1700 -1950. Many capture the mass Irish emigrations from 1820 - 1920 like that of Henry Moore of Augusta GA who penned a gossip filled letter to Wm. J C Allen in Belfast in 1835. Voices of Migration and Return Oral Archive (VMR). Ninety-three returnees and migrants from nine counties of Ulsters shared their life via interviews. These oral accounts detail experiences from 1930 - 2000, but the majority during the Northern Ireland conflict of the 1970’s. What a great set of resources. I especially like the Irish Emigration Database (IED). 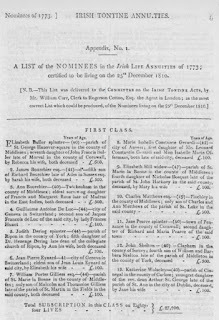 Even if your ancestors isn';t listed, it can give you a sense of why people were living and what the conditions were like in the county where your ancestor is from. Do a search just including your ancestor's county of origin.